The BEO will host a 7:00pm meet and greet reception before the screening. 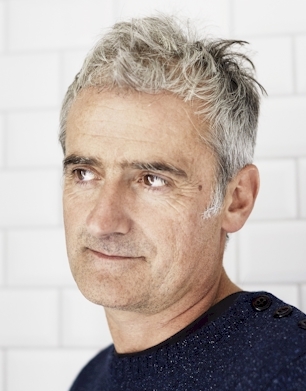 “Asier and I grew up together in the troubled streets of Pamplona during the eighties. Then we took different paths: Asier remained there performing activities with a clear political commitment, and I moved to Madrid. I had a dream: to be an actor. At drama school I met a lot of new friends from everywhere. Years passed and my dream of being an actor was becoming, little by little, a reality. In March 2002, Asier disappeared. He had become part of ETA. After, he was arrested and imprisoned in France, and spent the next eight years in prison. During that time, I talked a lot about Asier with my friends in Madrid, and about our special friendship. But often, the conversation stemmed into questions for which I found no answer: How to make them understand my friendship with an ETA militant? How to make them understand what might lead to a decision that was hard to assimilate myself? in Euskara, Castilian with English Subtitles. 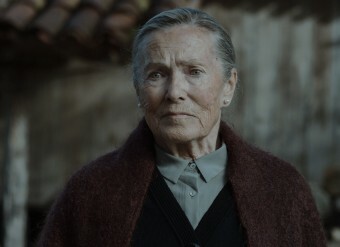 Amaia Merino (San Sebastian, 1970) has acted in films like Pedro Olea's Akelarre and Montxo Armendáriz's Tasio. In 1993 she moved to Quito, where she has worked as an editor and screenwriter on numerous documentaries and fiction features. She also teaches Editing and Screenplay at the INCINE Instituto Tecnológico de Cine y Actuación in Quito. Aitor Merino (San Sebastian, 1972) has mainly developed his career as a film actor, having participated in some twenty feature films under the orders of directors such as Vicente Aranda, Montxo Armendáriz and Pilar Miró. His first short film, El Pan Nuestro (2007), was nominated for the Best Fiction Short Film Goya. 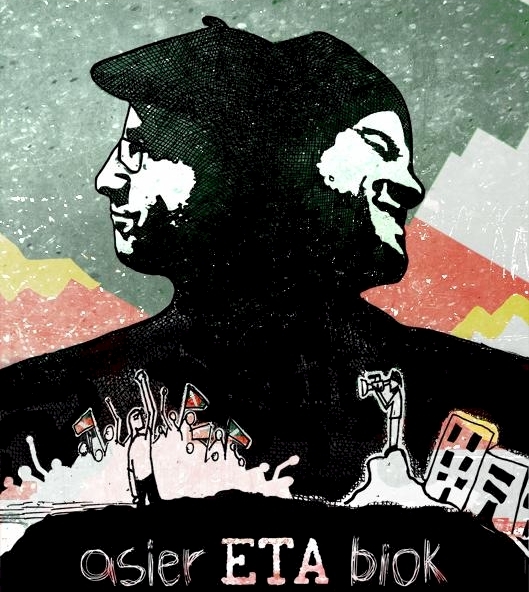 Professor Xabier Irujo, the co-directo of the William A. Douglass Center for Basque Studies at the University of Nevada, Reno, will introduce the film and will lead a discussion after the screening and will answer any questions. Professor Irujo was born in exile in Caracas, Venezuela, and is the author of ten books and numerous scholarly articles, mostly focusing on aspects of genocide. 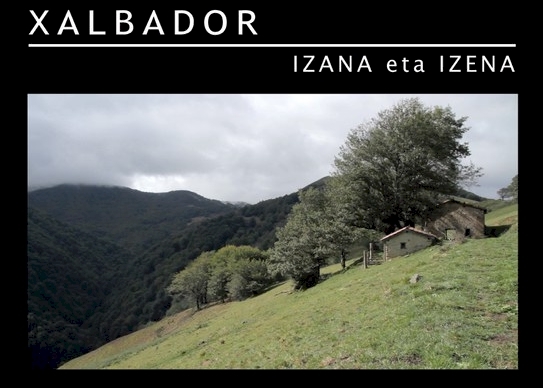 Xalbador is a myth in the Basque Country. A poet shepherd who would sing to his flock. So great that he was able to convert whistles into applause. So profound that death chose to take him on the very day of the homage to his person. Ferranddo Aire "Xalbador" (1920 - 1976) His four children brought us closer to him. 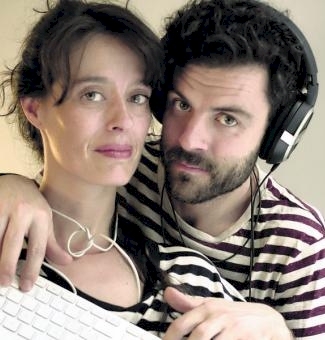 Eneko Dorronsoro was born in Zumaia in 1978, and studied directing and screenplay in Barcelona. Has been working in film and television since then. Outstanding among his work as a director is the short film Olarro (2007) and the music report Karidadeko Benta. Lehengo munduaren azkena (2008). He was a member of the production team on series for TV like Brinkola and Pilotari for Euskal Telebista, and on film productions such as Eutsi! (2007) and La máquina de pintar nubes (2009). TTAUP, TTAUP! (2010) The Beating of the Oars was his first documentary. with the director before the screening. 71 minutes, color, in Euskara with English Subtitles. 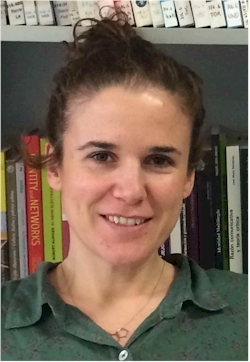 Professor of Social and Cultural Anthropology at the University of Basque Country. In 2005, Ms. González published “Pelota vasca: un ritual, una estética” (“Basque Pelota: A Ritual, an Aesthetic”), edited in USA in 2012. She has also made diverse audiovisual works, publications, art exhibitions, conferences, researchers, etc. Weaving together the personal stories of contemporary Basques, this film shares an intimate portrait of one of the world's oldest and most mysterious cultures. Dancing between ancient history and present day, captivating characters embrace us with their singular spirit to recount the epic tale of an indigenous identity’s survival. Rooted in heritage, while embracing unknown futures, Song of the Basques offers a poetic perspective on how we create and sustain cultures in our contemporary globalized world. 72 minutes, color, in Euskara with English Subtitles. 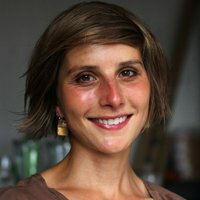 Emily is an award-winning filmmaker who works across the globe writing, directing and producing narrative and documentary films, interactive web-based stories and story-based branded media for companies and non-profits. Her work has won awards at international film festivals and been broadcast on every continent. She recently directed NBC's Comedy Talent showcase and previously been selected as a CPB Producers Fellow, awarded the Jerome foundations Tofte Lake writing fellowship, an ITVS grant for “Karla’s Arrival” and the Fulbright Travel Grant by the US Embassy in Nicaragua. Her most recent work includes a feature documentary "Song of the Basques" a fantastical narrative short "The Never Bell" and the short documentary "Sandorkraut". Emily is the partnerships coordinator for Film Fatales, an international collective of female film directors. Josu Martínez (Bilbao, 1986). 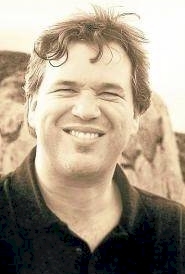 Having completed his audiovisual studies at the University of the Basque Country and at the EICTV in San Antonio de los Baños (Cuba), Josu Martínez worked as a screenwriter and actor for ETB and collaborated with Euskadi Irratia. He wrote and directed the documentaries Itsasoaren Alaba (2009), Sagarren Denbora (2010) and Prohibido recordar (2010), all released at the San Sebastian Festival. 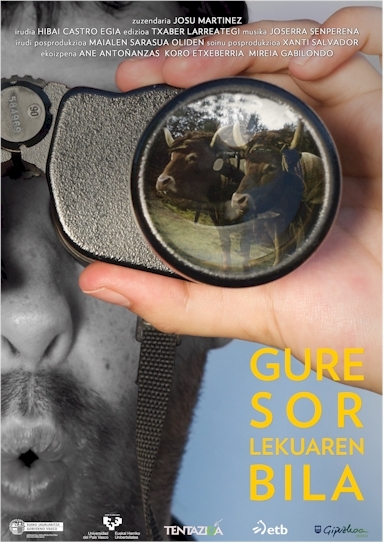 He also co-directed Barrura begiratzeko leihoak (2012). When a Basque family's eldest son opts not to take over the family farm, sensitive daughter Amaia (Iraia Elías) steps in to convince their controlling father Tomás (Kandido Uranga) of the inevitability of change. A film of rare lyricism and visual poetry, writer/director Asier Altuna's first solo dramatic feature is a sumptuous and deeply felt exploration of the struggle to maintain the customs that form identity against the inevitability of change. Symbolically rich and rooted in tremendous performances by a largely non-professional cast, AMAMA is steeped in Basque tradition but tells a universal tale of ancestry, generational divide, and the demands of progress. 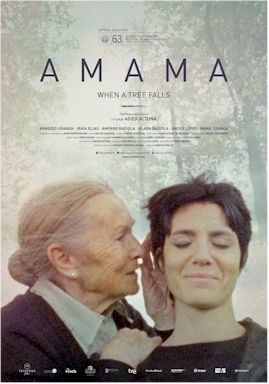 AMAMA Trailer (ENG) from ATERA FILMS on Vimeo. Bergara, 1969. He embarked upon a career in media production as a lighting technician. 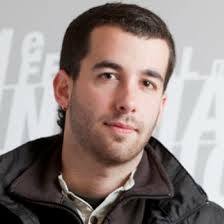 Following the success of his first short film Txotx, co-directed by Telmo Esnal, he made the leap into filmmaking and screenwriting. He has made numerous short films, television series, and advertisements and in 2005, he directed his first feature film, Aupa Etxebeste! along with Esnal, which won the Youth Award at the San Sebastian Festival and they were nominated for a Goya for Best New Director. 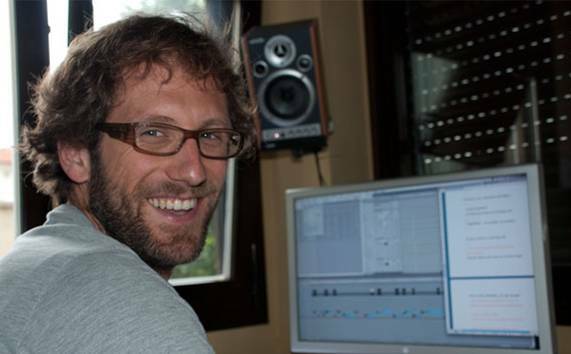 In 2011 Altuna directed his first full length documentary - Bertsolari.